The CORESTA Routine Analytical Chemistry (RAC) Sub-Group conducted a collaborative study of menthol in whole cigarettes and cut filler. The purpose of this study was to evaluate repeatability and reproducibility (r & R) values of the methodology. The purpose of this study was to evaluate repeatability and reproducibility (r & R) values of the methodology. 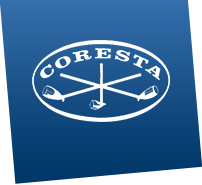 The results proved favourable and a new CORESTA Recommended Method was subsequently developed (CRM 92). In addition, a Guide was also produced (Guide 24).